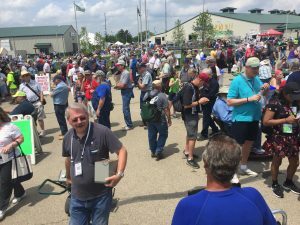 My wife surprised me this past Christmas with tickets to Hamvention 2017, and I couldn’t have been more pleased. 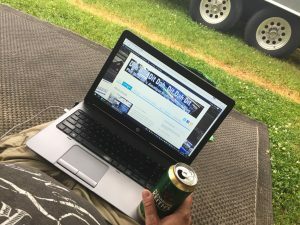 I was planning on going to Dayton in 2016, but circumstances made that impossible – I was very happy to be going, and not just to Hamvention, but the very first Hamvention not at the Hara Arena. 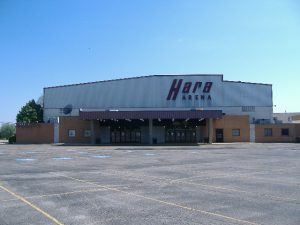 For those of you who might not know, the Dayton Amateur Radio Association (DARA) had hosted Hamvention at Hara for more than 50 years, but the facility was closed and demolished in 2016 – Hamvention was its largest event, but the property owners were unable to invest the money needed to perform some very crucial maintenance on the building. In 2016, DARA announced that Hamvention 2017 would be held at the Greene County Fairgrounds in Xenia, Ohio, south-west of Dayton. 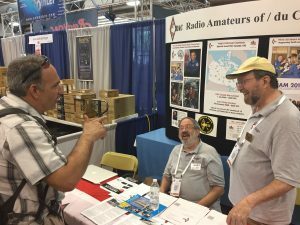 This was met with the usual, and very polar reactions from the Amateur Radio community – all easily summarized by saying some people thought that it was the end of the convention as they knew it, and some people thought it was years in the coming. Cassandra had booked us at the Dayton KOA, and we planned to take the family with the 25′ trailer to Ohio for the Victoria Day weekend. Fast forward to the early spring, the Fairgrounds announced that they would be allowing on-site RV/trailer camping. After looking at the map of Xenia, I wasn’t looking forward to lining up each day for parking, so I jumped at the chance to stay on-site. Cassandra took the kids to a nearby state park to spend the day on the beach and in the lake, and I took off to see what was what. As you can see from the top picture, the place was packed and busy all day – and today is only Friday, I can only expect tomorrow will be even busier. I found the RAC booth first thing in the morning. It was originally located in Building 6, but was moved to Building 2 fairly early on in the day. Building 2 also houses the ARRL booth. 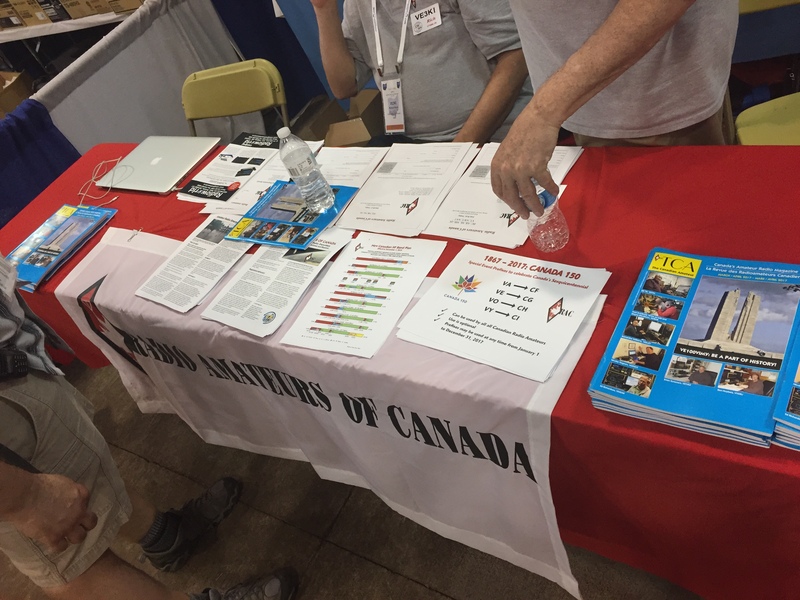 Glenn MacDonell, the President of RAC, and his son Adam the Office Manager, were manning the booth, along with a few other members of the executive. 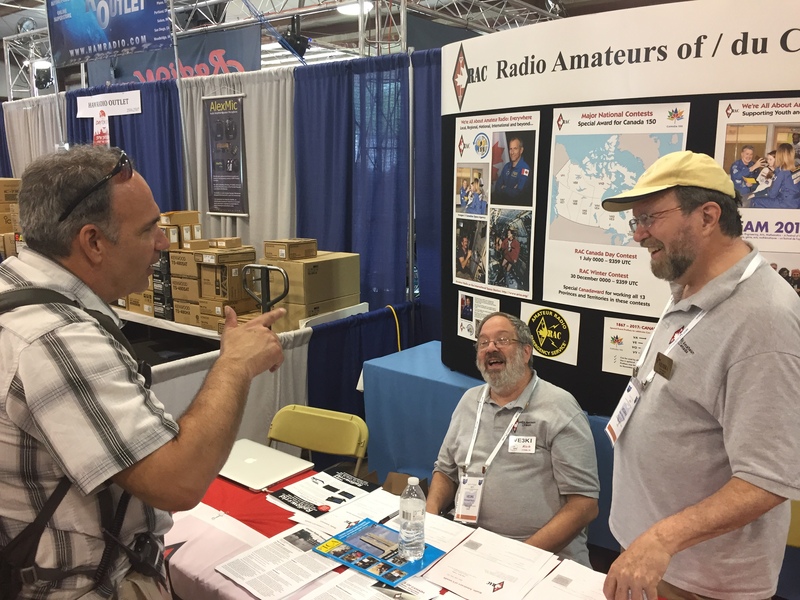 Glenn, VE3XRA, talking with Pierre, VE3KTB and Rich, VE3KI. I walked around the in-building exhibits and found it much easier to move around – there are several buildings, which gave the planners the room to leave the walkways wide. The outdoor exhibits lined the race track, and also took up the entire centre of the track. There’s been a lot of rain here, and the ground is saturated, but the walkways weren’t that muddy due to the very thick grass they’re growing in the middle. It’s been great running into people I haven’t seen in a while – from the folk I went to St. Paul Island with, to local GTA hams who live not far from me. 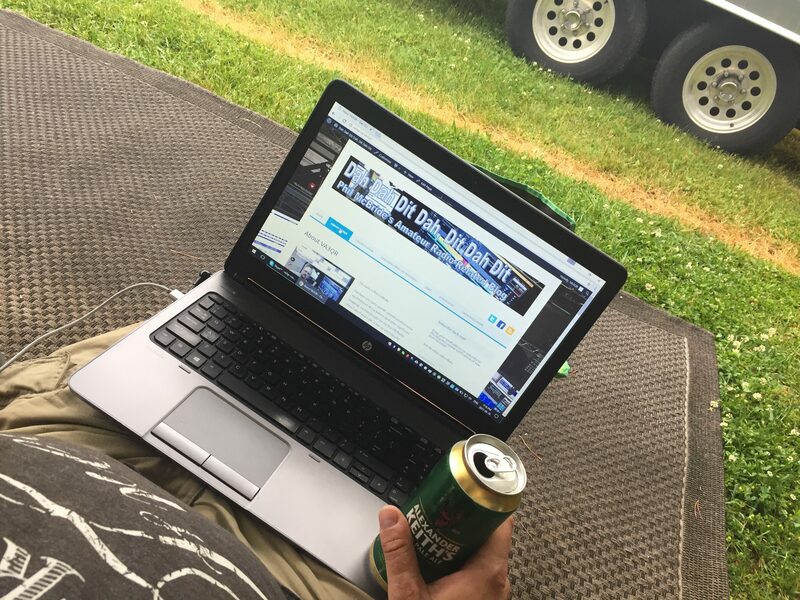 As I sit here, drinking a beer and writing to my readers, I can’t wait for tomorrow at Hamvention 2017.